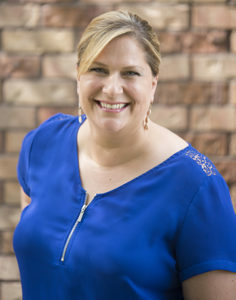 Mindy is a full-time Realtor for RE/MAX Results. Growing up in the home of a Realtor in the Kansas City, Missouri area, Mindy has 20 years of experience working in the real estate field. 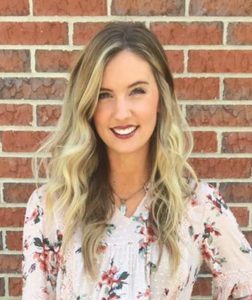 She graduated college in 2004 from Grace University with a Bachelor’s of Science emphasis in Psychology and earned her Missouri real estate license that same year. She started selling residential real estate in Nebraska in 2007. In her first year of selling homes, she received the Top Outstanding New Associate award & continues to exceed the industry average. She serves on the boards for Young Professionals Network at a local and state level, as well as several other committees within her industry. Mindy and her husband, Josh, live in Dundee with their incredibly naughty dog, Molly. In her free time, Mindy enjoys volunteering with the Omaha Jaycees and experimenting with new recipes. Tonya has been in the financial services industry for over two decades and has had the opportunity to experience a lot of challenging, fun and diverse roles. Today, as an Assistant Director-Field Supervision, her role and commitment are to empower financial professionals to grow professionally and reach their awesome potential. Tonya feels that if a person has the tools and resources to convert their potential into success, she can help build toward that success together. Tonya has her Bachelor’s degree from Illinois State University. 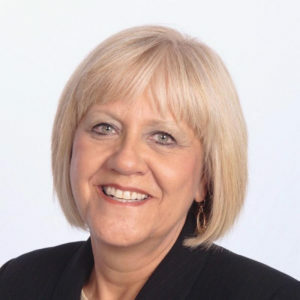 She is active in GAMA, NAIFA- Omaha chapter and currently the President of Women in Insurance and Financial Services- Nebraska Chapter (WIFS). She is a nine-time qualifier for Million Dollar Round Table (MDRT) and has achieved the Principal® Management Achievement Round Table (MART) in 2013. Tonya lives in Omaha with her husband David, a retired police officer, and their two teenage children, Melissa and Anthony. Katie Hossner is the Group Events Manager at The Amazing Pizza Machine, a family entertainment center in Millard. Her motivation is to discover what is important to her clients, facilitate fun and create JOY! Her natural enthusiasm encourages play and team spirit, which has been fundamental in her career and in the growth of those she has had the pleasure to work with over the years. She has 20+ years of experience in corporate management, leadership, planning, sales, customer service, and organization. With two kids in college, Katie is enjoying her empty nest. She spends her free time with her husband of 28 years and adores cuddling with her dogs. She is interested in mental health awareness, child and family welfare and environmental/conservation issues. Jessica Blake was born and raised in Omaha, NE. She attended the University of Nebraska at Omaha. In May 2010, she graduated with a Bachelor’s of Science degree in Business Administration, specializing in Real Estate and Land Use Economics and Management. 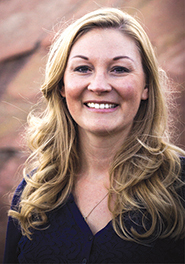 Upon graduation, Jessica accepted a position at Security National Bank. Currently, she is the First Vice President and Mortgage Loan Officer for Security National Bank, specializing in providing secondary market financing for clients. She currently volunteers for JDRF-Omaha. She resides in the Omaha area with her husband and their children. 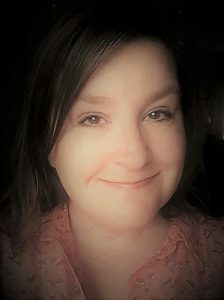 Joy Marshall is the owner of Performance Planners, LLC a consulting firm assisting small businesses and non-profits with managed services for events, sponsorships, e-mail marketing, registration & survey development. Her focus is on connecting event and marketing pieces from concept to reality through a strategic plan ending with a strong after action review. She offers the convenience of outsourcing managed services without taking current employees away from their existing positions and driving them into unfamiliar areas of expertise. As a Constant Contact Master Certified Solution Provider, she coaches email marketing registration and survey tools, tips, and strategies. Joy delivers real-world examples, tools, and approaches to support and drive results! A landmark project she co-directed was Student Education and Economic Development in the Sandhills (SEEDS). The project resulted in the opening of the Wolf Den Market a grocery store that started with a fully stocked debt free grocery store in a community of 129 people. The venture was featured in the Omaha World-Herald, the front page of the Wall Street Journal, People Magazine, Chicago Sun-Times and WGN Radio – Chicago. Joy spends her “extra” time with her three children who are all married who have blessed her with four grandchildren. Raina is one of three partners at Pixel Fire Marketing and heads up the creative division which encompasses creative services including web design, graphic design, and branding. She enjoys what she does because she is always growing to stay at the forefront of technology and design trends. A transplant from Southern California, Raina graduated in 2000 with a Bachelor of Fine Arts Degree in Graphic Design from California State University, Fullerton. She and her husband David have made Omaha their home with their two cats, Sadie and Zoey, and dog, Maybel. In her spare time, she enjoys exploring her surroundings for hiking trails, good restaurants, and wine tasting. 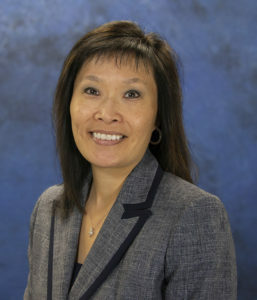 Lili Shim grew up in the Pacific Northwest and has lived in three of the four “corners” of the U.S. She has over 25 years’ experience in business development and operations in the financial services and healthcare industries. As Service Operations Manager at Cassling, Lili and her team provide a wide range of support services following the sales of diagnostic imaging equipment. In addition to enjoying lifelong learning, she finds it rewarding to build relationships and solve challenges. Lili has volunteered her time with Susan G. Komen, the American Heart Association, Junior Achievement, and local non-profit organizations. Lili received her Bachelor of Science degree in business administration from California State Polytechnic University, Pomona and her Master of Business Administration degree from Indiana University of Pennsylvania. She re-energizes her mind, body, and soul through golf, Pilates, and music! Born and raised in small-town Nebraska! I have been in the sales/retail world for 10+ years. I have managed Mainstream Boutique for the last 3 years. I am the buyer, manager, and in charge of all social media. I am excited everyday to go to work- which makes me blessed! We help empower women and create confidence through fashion. When I am not working, I am enjoying time with my husband and our sweet baby girl, Lindy. 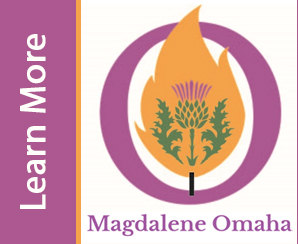 As a member of the Heartland Women’s Network, you will have access to knowledge, resources, contacts, and support from other women in the greater Omaha area.